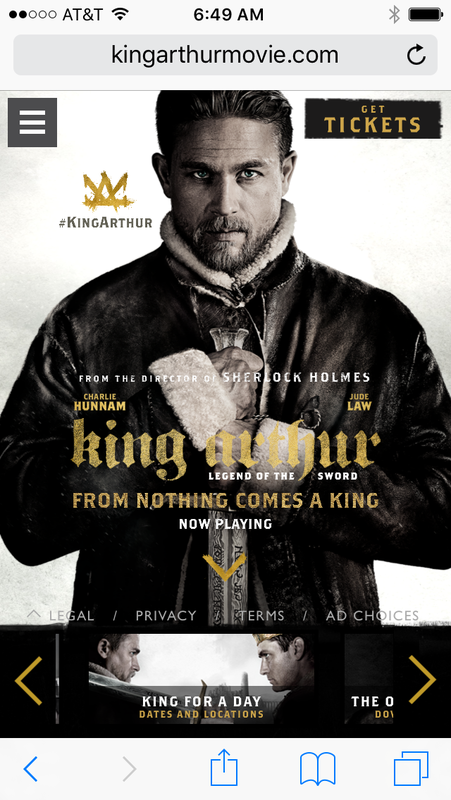 While we enjoyed our unlimited popcorn and coke at Tinseltown Benton we watched King Arthur: Legend of the Sword. 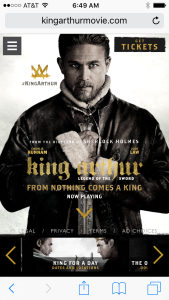 The young Arthur is orphaned in a kingdom overthrow by his uncle Vortigern. Robbed of his birthright, Arthur grows up the hard way unaware of who he really is. Without any success, many men had tried to remove the magic sword Excalibur from the stone in which it had been plunged. When Arthur laid both his hands on the handle of the sword to remove it, he knew there was special power with him, and by his commitment to grasp it with all his strength, he was successful in removing it. In time, his reluctance to take his position as the rightful leader is overcome as he sees the dire need for reform in the kingdom. Working together with the special powers of the sword and through the magical powers of Mage, he was able to bring about the much needed reform. As I watched the movie, I realized there were many parallels to things of the kingdom of God and some good lessons to be learned. The kingdom of God does not operate by magic; it operates by the power of the finished work of Jesus, the spoken word, the Holy Spirit, angelic assistance, and through the obedience of faith and love, through the choices of the believer. If we are born again, we first need to realize our birthright, that we are children of God, joint-heirs with Jesus Christ. All that he is, is put to our account and shared with us. With that, we can give ourselves to grasp the sword, the Word of God, with both hands, with all our strength. By faith in that sword, great opposition can be overcome and great provision can be obtained. There is much need of healing and deliverance in the world and in the kingdom of God. God works through people with his power to get things done. When we are reluctant to wield the sword in the face of such suffering and robbery that takes place every day, then that suffering and robbery continues. There is great need for “Arthur” to rise up, take his place, and deal with the oppression that is all around. So while we enjoy our popcorn and coke, maybe we need to learn our lessons then walk out of our little theater into a world of need, and start learning how to work with the power of the Sword to get some things done that only God in his power can do.